Charleston’s diverse opportunities for entertainment, fun and learning makes it a great place to visit and to live! Here’s a few ideas for the city explorer in all of us. This free-to-the-public museum offers an interactive look into the history, culture and treasures of West Virginia. The museum is designed as a timeline telling story of WV. A museum gift shop offers WV locally-made products. Craik-Patton House was built about 1834 in the Greek Revival style. It is open for tours from April through October. It is listed on the National Register of Historic Places since 1970. The Council provides constant events and programs promoting the Mountain State and it’s art, literature and history. It is located at the MacFarland-Hubbard House, which is listed on the National Register of Historic Places. A driving trail that winds through over 187 rugged miles of scenic industrial heritage. You will pass through National Historic Districts and the physical remnants of the coal boom such as coal miners’ homes, company stores, company offices and more. Historic town just east of Charleston. VIsit Booker T. Washington’s childhood home, African Zion Baptist Church, J.Q. Dickenson Salt and many other historic buildings and sites. For over 100 years, Blenko has maintained the tradition of hand making glassware in America. They offer a wide range of products which include functional glassware, art glass, mouth blown sheet glass, dalle de verre and other quality products. Tours are available. Tours of the Governor’s Mansion begin on the front porch of the Mansion on Thursdays and Fridays. Reservations are required and are honored on a first-come, first-serve basis. Call for reservations at 304-558-4839. As you stroll along the riverbank, you will come across a series of historic markers commemorating moments in West Virginia history. These markers are part of the over 1,000 markers throughout the state marking sites of significance. Part of a Civil War weekend in Hurricane, the event commemorates two engagements of the Civil War separated by a space of two years. The Battle of Scary Creek., July 17, 1861 and the Blue and Gray Skirmish at Hurricane Bridge, March 28, 1863. Also, enjoy crafts, sutler’s row, storytelling, a night firing, parade drills, a ladies tea, a historical lantern tour and a military dance. 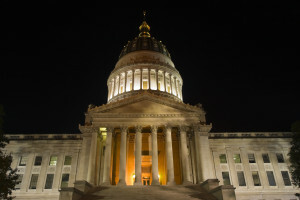 Celebrate West Virginia’s birthday with a variety of activities on the grounds of the WV State Capitol. History is happening every day of the year and this is certainly the case for those wanting to learn more about Charleston and West Virginia’s history.